Built 1903-1905 by Augusto Plou. Opened 1905. 2004-2005 renovations. The building contains two halls: Sala Mayor (800 seats) and Sala Leopoldo Marechal (250 seats). 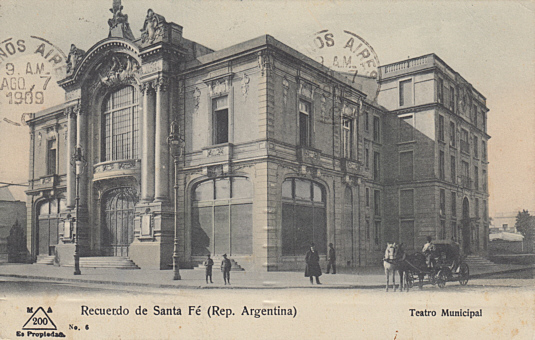 Front Text: "Recuerdo de Santa Fé (Rep. Argentina)", "Teatro Municipal"